20 fresh-picked SweeTango apples packed in our specially padded gift-mailer box. We only ship to the 48 continental US states. Fresh fruit cannot be shipped to California, Arizona, Alaska and Hawaii. Not available before August 31. The perfect way to experience fresh-picked Honeycrisp apples from our Orchard without being here. Our specially padded shipping/gift box contains 20 apples. We only ship to the 48 continental US states. Fresh fruit cannot be shipped to California, Arizona, Alaska and Hawaii. Not available until Sept 21. 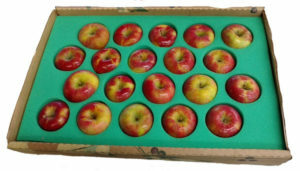 20 fresh-picked Evercrisp apples packed in our specially padded gift-mailer box. Evercrisp is one of our tastiest and longest lasting apples. We only ship to the 48 continental US states. 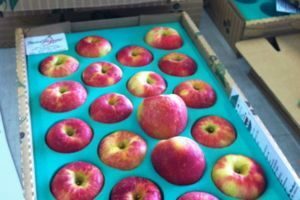 Fresh fruit cannot be shipped to California, Arizona, Alaska and Hawaii. Not available before September 30.